The Kelowna Chamber is pleased that Alberta Premier Rachel Notley has decided to lift Alberta’s short-lived ban on BC Wine imports and we hope both Premiers shelve any further mention or consideration of “boycotts” on any products. This high-profile dispute between the two provincial leaders does nothing to help small business in either province nor is it helpful in tackling our many complicated challenges and issues in the collaborative manner that we expect from our provincial leaders. 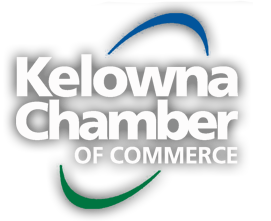 The Kelowna Chamber was extremely concerned about the boycott, particularly because of its detrimental impact to our region of the province of BC, which, for the most part, respects the outcome of the Fedeeral Review and approval of the Trans Mountain Pipeline expansion. For the life of us, we are not sure why the Alberta Premier singled out an industry in the interior of the province that is ironically also home to thousands of workers that depend on Alberta’s Oil patch. We hope that this is the last we hear of this dispute and the political posturing that causes uncertainty and harm to both the wine industry in BC and the oil and gas sector in Alberta. In fact, we would prefer to see cooperation on both sides of the BC-Alberta border that is focused more on removing economic barriers rather than building a virtual trade wall between the two provinces. Unfortunately, as one fire is put out, business leaders across the Interior are now trying to understand why a few cities have been targeted by the BC Government for what is proposed to be a Speculators Tax. We fail to see how slapping an additional tax on Albertans (or other Canadians) that own property in this province is somehow going to make housing more affordable for young families or those living on the streets. The uncertainty around the proposed tax comes as a result of the fact that legislation for this new tax is not yet finalized. That uncertainty is detrimental to creating an environment that encourages investment and economic growth. We also have yet to see a solid business case that the Foreign Buyers Tax or the proposed Speculators Tax will actually achieve the outcome the Province is hoping for: which they state is creating more affordable housing in the Central Okanagan. As we have seen over the past year in dealing with Federal tax policy changes, any consideration of a new tax must be well thought out and effectively communicated to those it will affect. In this case we have not had that communication, nor have we received any explanation from the Province. We call on the BC Finance Minister to immediately explain the government’s rationale behind implementing a tax on only some communities in BC and not others. We are hearing significant concern and outrage being expressed from those in the housing and construction sector throughout the Okanagan and Kootenays, two regions of the Province that interestingly enough have strong economic ties to Alberta.